Batteries built to power up every golf game. Ready to tee- off? Energise your game with a Delkor Deep Cycle battery. 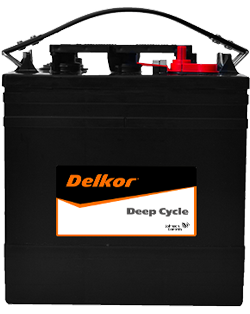 Built to last longer and requiring no maintenance, the Delkor Deep Cycle battery provides high bursts of power in short periods of time. Ideal for golf carts.